The barbell row is a free weight exercise embraced by the strength-seekers of all shapes and sizes. We’ve all been told at one point or another not to slouch – to straighten-up. Right? Well, if you want to work on your posture and increase your back mass, the barbell row is your friend. What else can it do for you? Which muscles will it target? 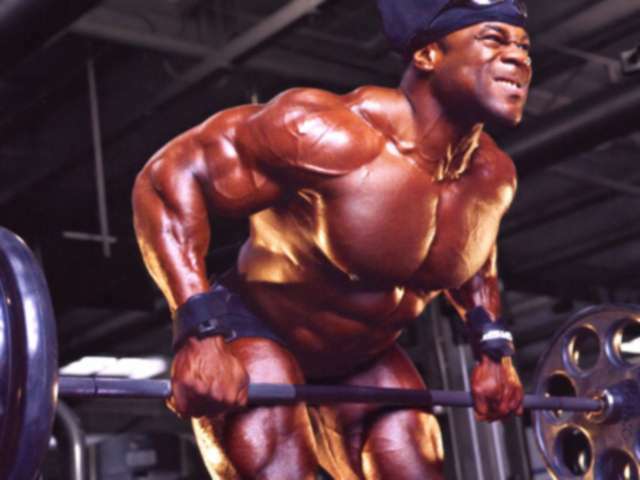 And just how do you do a proper barbell row, anyway? The barbell row works the latissimus dorsi, known to most of us as “lats”; the trapezius, or “traps”, the posterior deltoids, and the rhomboids. Basically, this free lift works the major back and shoulder muscles. As stated above, the barbell row can help in improving your posture. Barbell rowers can also expect to see an increase in strength. Another important benefit is that the barbell row helps to create balance in size and strength between the muscles we use to pull our shoulder blades back and the chest muscles we use to pull our shoulders forward. How to do the barbell row? There are a few things we should keep in mind before we begin doing barbell rows. -The spine and neck should be kept straight throughout the exercise. -The buttocks should not be pushed out while making the lift; the abdominal muscles should be used when pulling the barbell as if rowing. -As with all free-weight exercises, be sure not to go “too heavy”. Work up to heavier weights only after you become strong and comfortable with smaller weights. If you find that you have to jerk the weight back up, or that you are slouching, you should reduce the weight on the bar. 1. Bend your knees slightly as you bend over the bar, keeping your back straight. 2. You should carefully grip the bar, using a wide overhand grip (there is also an underhand grip version). 3. Pull the bar up to your upper waist. Exhale as you lift the bar, pulling your shoulder blades together. 4. Return the bar until your arms are extended and your shoulders are stretched downward. A note: the barbell should not touch the floor. As with other free-weight exercises, you will see variations on the above basic version. Form is key to prevent injuries; have a trainer or a friend watch your style and give you some feedback. In weight-lifting, it is important to shake off bad habits early – before they set in. sounds like a glorified shrug? Not at all. Besides the traps (which you work doing shrugs), here the lats, biceps and spinal erectors are working hard. It’s a totally different type of movement.